Welcome to the vegetable garden guide, your one stop place for discovering great tips and tricks for growing a healthy vegetable garden. Experienced gardeners often approach the task with a casualness gained over time. Beginning gardeners also need not worry. A few types of vegetables grow almost effortlessly in every garden. 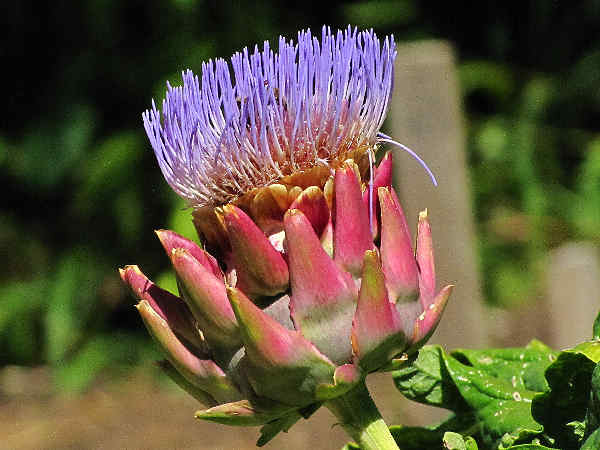 Basically, vegetable preferences and time investments influence most garden decisions. Salad popularity, for example, provides incentives for many back yard gardeners to think back yard salad gardens consisting of lettuces, tomatoes, cucumbers and onions. Garden investment time also varies from gardener to gardener. Some consider gardening as an experiential second thought, more akin to a task completed in a less than orderly manner. Other gardeners consider it a day to day, getting up at the crack of dawn activity. The vegetable garden guide provides growing tips for a variety of vegetables suited for most climates. Press any button to get started, or read further about some basic vegetable nutrition and cooking information. 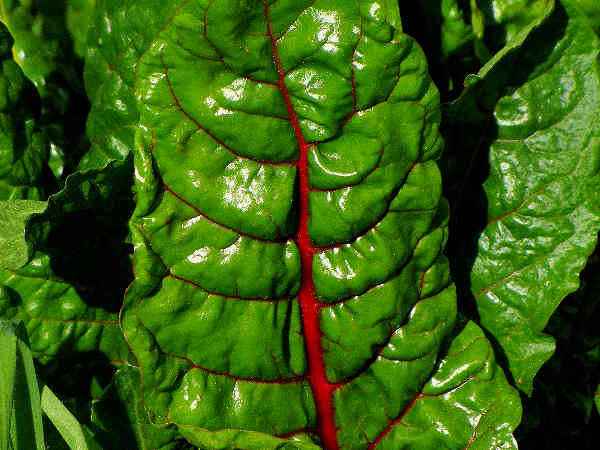 Did you know that vegetable color often provides great information about its nutritional status? For example, green power rules in the vegetable world. A general nutrition rule of thumb reminds us that greener is better. Dark green vegetables such as bell peppers, spinach and broccoli offer higher concentrations of vitamins (especially vitamins A and C) and minerals (especially iron and calcium) than the other types of vegetables grouped according to nutrition standards. Green vegetables provide fiber to the diet. 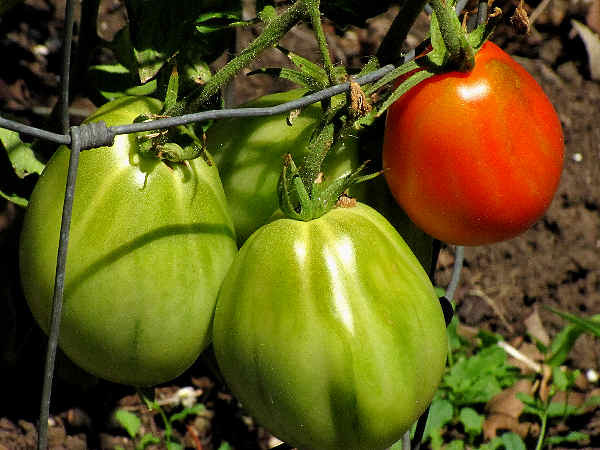 Tomatoes and other deeply colored vegetables rank next in terms of nutrition. Depending on how the story unfolds, starchy vegetables, like potatoes and corn, often get a bad rap, based primarily on their higher carbohydrate content compared to other types of vegetables. In and of themselves, carbohydrates, especially the complex carbohydrates associated with starchy vegetables, are a necessary ingredient for a well balanced diet. While the vitamin and mineral content of starchy vegetables generally ranks below that of their non-starchy counterparts, they do provide some nutrition value. Finally, celery, zucchini, iceberg lettuce, onions and other popular vegetables often get placed a catchall other category. While they do not contain the vitamin and mineral content of the green and orange vegetables, they are still an important source of nutrition. Because their taste and texture blends well with a variety of other foods, perhaps complimentary vegetables would be a better category name. No-till farming and no-till gardening are increasingly being accepted as proper practices for long term sustainability. Here’s a quick recipe for your own backyard no-till vegetable garden. , weeds, old driveway, etc.) 4-6 sheets thick. Overlap edges. This becomes the weed barrier and will eventually compost. Spread composted manure over paper to attract the worms and other helpful soil organisms. Spread wood chips (2-4 inches deep) (this first layer should be coarse enough to allow air circulation). Ready for seeds or seedlings when you are. Use the soil. Since their arrival on the mass market some fifty years ago, microwave ovens have become an ubiquitous part of kitchens and break rooms around the world. They do everything from boiling water for a cup of java to preparing a full course meal for the family on the go. Does microwaving vegetables harm their nutrient content? Put another way, does our need for speed harm our health? The short answer is yes and no. Consuming fresh vegetables, such as snap beans, straight from the vine, guarantees maximum nutritional benefits. In all other instances, vegetables lose some of their nutritional content. The trick to preserving a vegetable’s nutritional value starts by minimizing nutritional loss from vine to table. For example, freezing or canning vegetables immediately after picking them helps preserve much of their nutritional value. Because boiling vegetables in water provides the vitamins in vegetables an escape route, steaming vegetables is always preferable to boiling them. Fresh corn on the cob roasted on a summer grill will be more nutritious than the same corn boiled in water. The logic holds for microwaving vegetables. As long as the vegetables are not placed in a bowl of water prior to being placed in the microwave, microwaving vegetables can be a good way to minimize nutrition loss. One good rule of thumb for microwaving vegetables starts by placing the vegetables in a bowl and lightly covering them with a dressing such as oil and vinegar or butter (or butter substitute. If using a plastic wrap as a steaming aider, insure that the plastic wrap does not touch the food. A quick three to five minute cooking under microwave power is usually sufficient to produce crist, but tender vegetables.